Recently, I was lucky enough to win products in an Adore Naturals competition, including the amazing Bskincare gentle eye make-up remover. 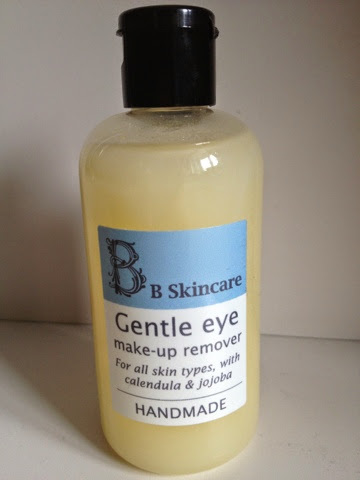 Made with calendula, jojoba, and benzoin, this is the best, and gentlest, eye make-up remover I have ever used. It comes out of the bottle in a bit of a thick, jelly-like gloop, but it goes on smoothly and manages to shift pretty much everything, while feeling smooth and soothing to the delicate skin around the eye. At only £6.95 for a 100ml bottle, it's definitely value for money and a permanent addition to my beauty shopping list. Best of all, it is handmade in Cornwall so I'm supporting the south-west economy too. Disclaimer: This blog post has been independently written and is my own opinion.